Joris likes to listen and play with music and has a broad interest in people and their creative outbursts. In most museums you won’t need a whole month to look around, that’s why I went to the exhibition of Saul Leiter in the Joods Historisch Museum (Jewish Historical Museum) this morning. If you want to check it out you have till Sunday, but I would highly recommend to skip the Friday after-work drinks with your dull colleagues today and go see some nice pictures instead. 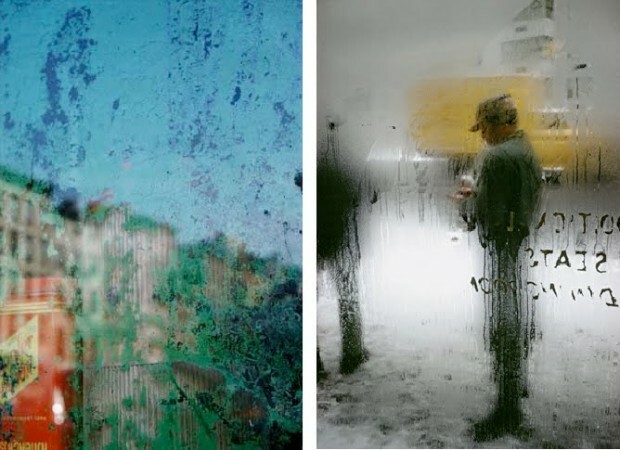 Saul Leiter made most of his street photography in the 1940s and ’50s. At that time it was blasphemy to shoot in colour. Many of his friends of the New York School stuck to black and white. Because Leiter did show an interest for colour and dia-photography, he’s seen as a pioneer in that area. Although he says he doesn’t want to see himself in that way, his pictures are really ahead of their time. Bail out of your dusty office or study area and jump on your bike for some intriguing photography. In the short documentary he states he’s not really looking for something specific when he wanders around. It makes sense when you look at the importance of some of the subjects of the pictures; they’re not often in the centre of attention. Maybe that’s also one of the reasons that most of the time you have to look twice to see the whole picture. What really stood out for me is the emphasis on composition. When I look at his work I really see common encounters transformed into compositions of coloured planes. If it wasn’t for the objects and the clothing, you would never have guessed that the pictures were taken over fifty years ago. The feel of them is so authentic, they rise above time and place. So bail out of your dusty office or study area and jump on your bike for some intriguing photography. All pictures in this article are made by Saul Leiter and can also be seen in the book Early Color.